Got something to say that needs a bit more space than a blog comment provides? 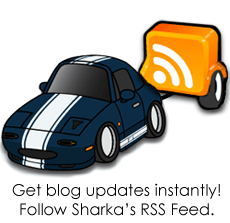 Send some Sharka fan mail? Just wanna chat some random car stuff? Drop me a line with this spiffy form. I will try to reply in a timely fashion. If you wish to chat about a product or possible order, please use the Custom Order Form. It gathers the required information so that I can help you immediately. This form uses anti-spam protection. It should be invisible to you. If you’re having a hard time getting the form to work, just leave a comment in the most recent blog post and I’ll see what I can do. Before you hit send, please ask yourself: Are you asking about a revlimiter product? If you are asking about gauges, switches, or anything else, please use THIS FORM instead. Because I'll just ask you to fill it out in my reply if you don't use it. Are you asking about a product?